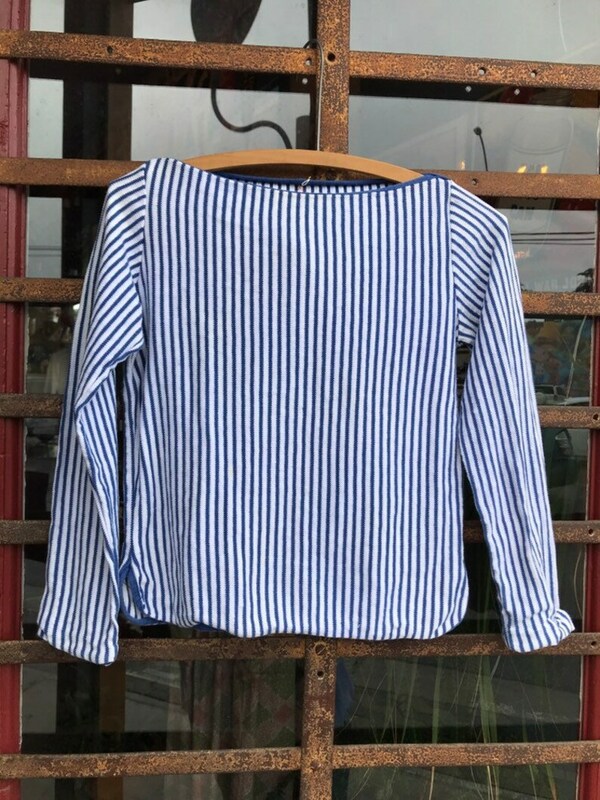 Small women’s striped French shirt. Embroidered with a red M. One small stain on front. Please see photos.